Hello, welcome to Kafi Talk. I’m your host, Lio Richman. Today we’re going to talk about strategy for the beast of fable from book one Kafi, New York, daughters, dogs, you know no big whoop. Kafi has 3 attacks, and they all have twists to them. 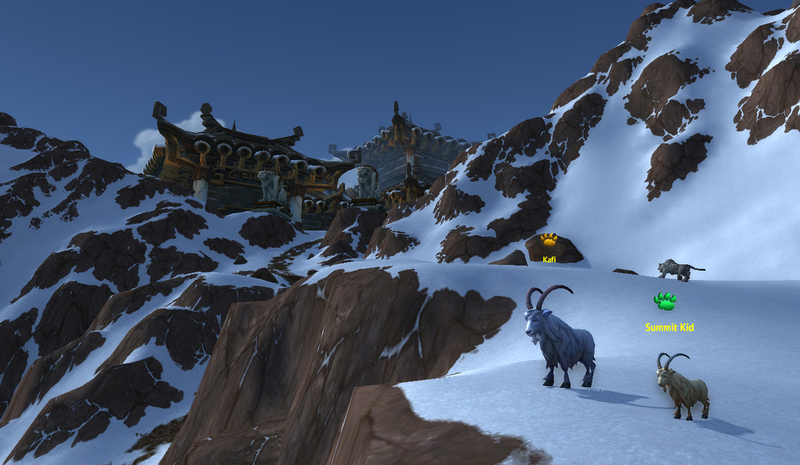 His first, Leap, is a smallish hit, but gives him a 100% speed boost for the next turn. 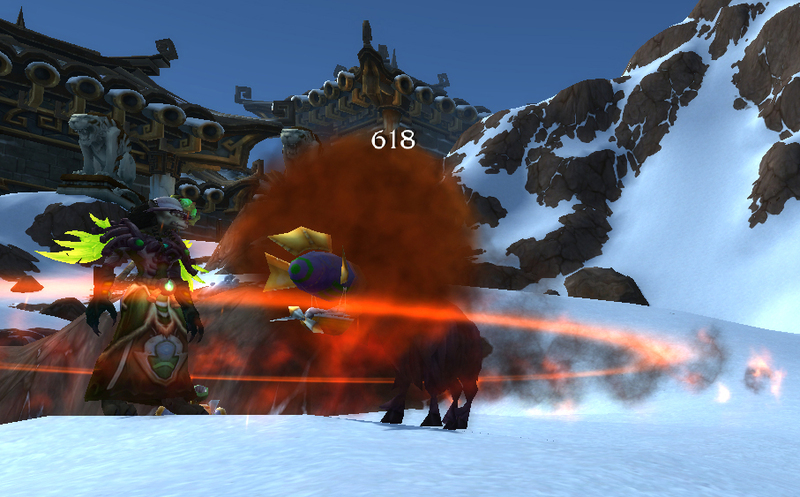 His second is Gnaw, which hits fairly hard, but tacks on an additional hit if he’s faster than your battle pets. 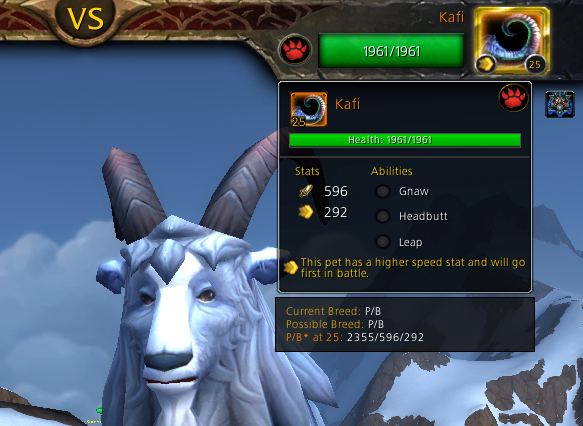 Because most Mechanicals are fairly slow it’s really likely your pets will be slower than his 292 speed even before he starts tacking on Leap. His last ability is Headbutt, which is on a relatively lengthy timer but hits hard, and has a small chance to stun. With all that in mind, here’s the team. As long as you have 3 capped level mechanical battle pets with decent offense, you’ll probably be able to beat this fight pretty handily, though the stun can be a gamechanger. The real star of this fight is going to be the Darkmoon Zeppelin, and we’ll see why in just a bit. 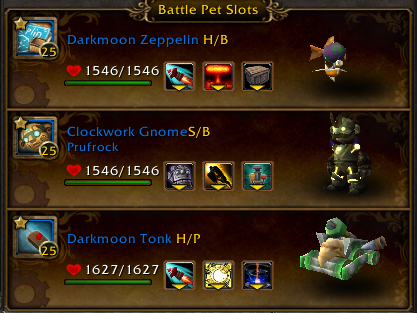 The other 2 battle pets I chose here (Clockwork Gnome and the Darkmoon Tonk) just have fairly strong, Mechanical offenses. I’ll start the fight by pulling out the Zeppelin, and using Decoy and Missile until it’s within a turn of being dead. With Kafi’s relative speed, we’ll be using the res turn to Explode, so we have to hit it on the turn before he’ll kill the Zep. Remember that dual attack on the Gnaw here, too! Explode hitting is crucial to this strategy. After that big a hit I’m feeling a little verkempt. Talk amongst yourselves. I’ll give you a topic. The Phoenix Hawk Hatchling is neither a Phoenix nor a Hawk. Discuss. Explode is another of those odd percentage-based attacks which, although it isn’t buffed by most other moves, and isn’t affected by family weaknesses, it goes straight through that halfed damage buff the Beasts of Fable have, too. While in many cases this doesn’t make a huge difference, with such a big nuke being able to bypass the shield, Explode makes for an amazing tool to mow down any Beast of Fable. The Family weaknesses of the rest of the Zeppelin’s moves and its large healthpool in specific just make it a really good pet all around to beat up Kafi. At this point the fight is mostly over. I just construct a turret to provide filler damage, then swap to the tonk and continue to nuke, and I win this one handily. 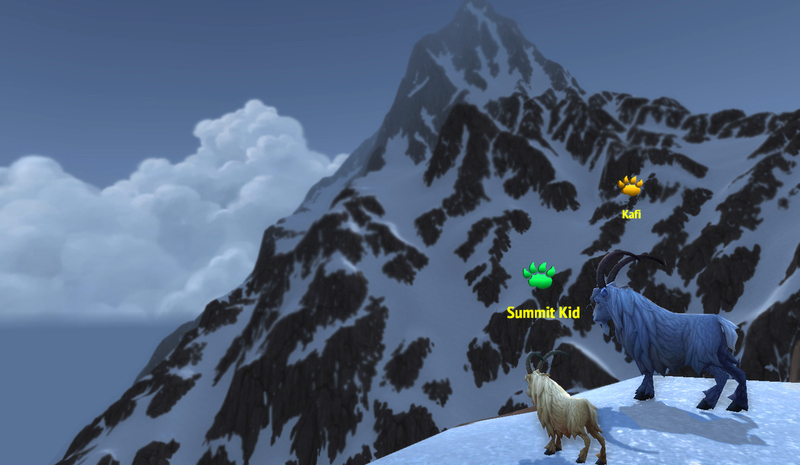 I’ve beaten him before with just a Zeppelin and a Mechanical Pandaren Dragonling, just nuking a bit and then Exploding. The Dragonling does worse at this than the zeppelin, just because the zeppelin has more health to start, and its Decoy doesn’t share a slot with its Explode, giving it a really good bit of longevity. There are a handful of non-mechanicals with Explode as well, if you’re in a pinch. Just remember that if you use Explode with the last pet alive on your team, you’ll lose the fight because it doesn’t activate Failsafes. 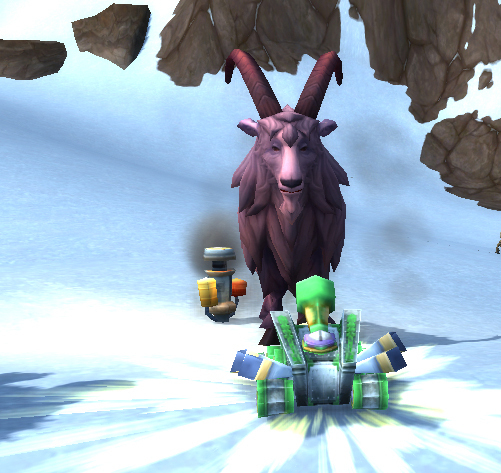 Another good alternate strategy would be to use the clockwork gnome, a pet with Thunderstorm and the Cogblade Raptor. Like I said though, most teams with 3 mechanicals are like buttah for this fight. This entry was posted in Beasts of Fable, strategy and tagged beasts of fable, daily, strategy on March 26, 2014 by Liopleurodon. I bet your Prufrock has heard mermaids singing, each to each.